You’ve never looked your best until you’ve found the electric shaver that is perfect for your needs. Electric shavers are an important tool in your grooming routine, as they give you much more control over your look. With the rising trends in carefully trimmed and styled beards, it’s hard to compete if you don’t have the right equipment. You would have to rely on going to the barber every once in a while, which is expensive and can be a hassle on your part. Traditional razors are difficult to maneuver and use for fine details. I’ve been through all the highs and lows found in riding the most recent trends, and I understand the hassle associated not just with finding the right style of beard, but even more so the right electric shaver. I’ve personally used all of the electric razors on this list so I can speak from direct experience to compile the most comprehensive guide on electric shavers you will ever need. If you’ve been looking into electric shavers for a while but aren’t sure how to start it off, I hope this guide will point you in the right direction. Read on to find out everything you need to know about the best electric shavers for men. I’ve carefully analysed thousands of electric shaver reviews, tried out the products in question, and compiled the top list of products to all to help you find the best electric shaver for the job. While this is one of the more expensive electric shavers on the market today, it comes with good reason. The Braun product line of electric shavers are surrounded by a massive hype, and in my personal experience, it’s all very much deserved. If you are a fan of the Braun Series 7 or if you want something with similar features, then the Series 9 is the next electric shaver for you. One look at its shaver head is all you need to see its extensive cutting elements. If you look close enough, you’ll notice that it’s equipped with two trimmers that really help with capturing even the trickiest hair in one stroke. And there’s more to this electric shaver than meets the eye. It can automatically adjust the intensity of its shave based on the density of your facial hair. The Braun Series 9’s adaptive motor promises a gentle and controlled shave across a variety of hair textures. It also comes with a super flexible shaver head, which gently adapts to the contours of your face as you’re shaving to help minimise skin irritation. 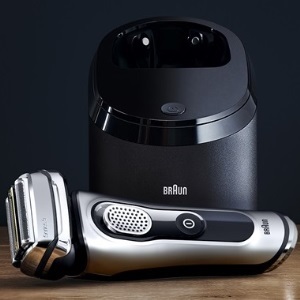 In true Braun fashion, the Series 9 comes with an automatic Clean and Charge station that cleans your shaver at the push of a button, which can be useful for busy people and professionals who are constantly on the go. The fluid used to clean is alcohol-based, which I like because it gives me the reassurance that the shaver head is being thoroughly cleaned. 10D Contour – The 5 shaving elements are separated, so you can easily shave the varied planes of your face. The blades move in 10 directions to adapt to the angles and curves. Instead of missing patches of whiskers because the shaver has lifted, it’ll stay flush with the skin. This is perfect for the cheeks and the angle of the jaw and neckline. I understand the struggle of having to shave with sensitive skin and coarse facial hair. To me, this is the best model out there if you are willing to splurge on an electric shaver and if you are prone to skin irritation and you have unruly hair. It’s comfortable, efficient, and versatile—all you could ever ask for in a companion to help you mow down your messy facial hair. Like any other high-end shavers, you may also enjoy the wet and dry shaving options. I’ve found that it is capable of consistently giving excellent shaves either way. It’s also designed to be used cordless for safety measures, much like many other newer models on the market. The cherry on top of the Braun Series 9 is its long battery life, offering well over 50 minutes of shaving time on a full charge. It also has a 5-minute charging option in case you’ve run out and you need a quick shave. It gives excellent wet and dry shaves. The device charges quickly; perfect for people on-the-go. It is easy to clean, waterproof & light weight. The shape of the shaver is super comfortable. Trimmers and Intelligent Technology detect the hair direction. 5-action cleaning and charging station sanitizes the shaver. 50 minutes of cordless shaving. The LED dial on the handle of the shaver doesn’t indicate how dirty the shaver is. The shaver is more on the pricey side of things. Its replacement cartridges are expensive. The Braun Series 7 electric shaver is one of the most competitive products on the market right now. It is a smart electric shaver that has four different shaving elements to help you shave more hair in just one swipe. It also has auto-sensing motor and turbo modes which adjust the blades while you are grooming. This helps minimise the risk of getting an unbalanced trim or injuries. It’s a big help regardless of facial hair thickness because it automatically senses density and adapts to face the challenge. On top of all this, I love how the Braun Series 7 is super comfortable. In my experience, shaving is a relaxing experience with this electric razor. One of my favourite features is that it can be used without the cord, unlike most electric shavers that will only function with a cord. Sometimes it can be a little hassle to use shavers with cords because it can get in the way of your motion, not to mention that there is the risk of getting wet that might even electrocute you. The Braun Series 7 has five different levels of shaving intensity. This lets you customize your trim. Whether you are going for a rugged look or a clean shave, this electric razor is capable of providing it for you. When you’re done using the Braun Series 7, you don’t have to worry about cleaning it with its automatic Clean and Charge dock station. It cleans and charges the shaver at the same time, which I found super effective and helpful. Among the other Braun electric shaver series currently on the market, the Braun 7 to me is the king of all Braun shavers. Compared to the series 1,5, and 9, the Series 7 comes at the cheapest price point and fortunately the best quality as well. Compared to different brands, the Braun is still one of the pricier units on the market—but I personally think it is worth every cent. Men with thin facial hair generally have difficulty finding the right electric shaver. I’ve concluded that the Braun series 7 is undoubtedly the best fit for men with thinner fuzz because it knows how to grab hold of thin strands to give it a clean cut. Despite it being a foil shaver, I noticed that its head is capable of tilting and flexing in several directions as I shaved along my jawline, which can be a plus for those who want the adaptability of rotary razors but prefer the design of foil razors. It’s waterproof for up to 5 metres in the water and can be used in the shower. It fits well into your hand with its rubberised grip. It’s durable, which helps you save up on buying replacements once every few months. I find that it’s a good gentle shaver for sensitive skin. It’s best for men with fine facial hair. It can automatically adjust the intensity of your shaving for you. It provides a really close, dry shave. Charging station keeps the shaver sanitized and the blades will stay sharp longer. 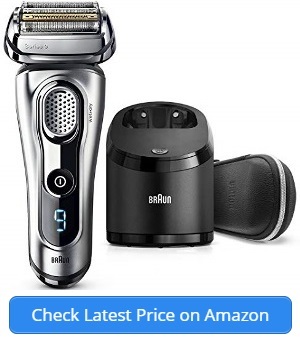 The Braun Series 7 is a little pricier than other brands. The Philips Norelco 9700 has specially designed blades that promise to cut hairs up to 30% per cent closer to your skin. After trying this out, I observe that it did manage to give me a good and clean shave with minimal skin irritation. As you may have noticed, most of the electric shavers on this list can boast of their own Clean and Charge docking station systems. However, they don’t specify whether they include blade maintenance as part of the cleaning package. With the Philips Norelco 9700, you can rest assured that your shaver doesn’t just get a thorough clean—the system can also lubricate the shaver’s blades so as to reduce friction and keep your blades in top condition. Once it’s done with all this, it dries and charges the shaver so it’s good to go. I noted that this entire process from start to finish took around three hours to complete. If you feel like taking a more involved approach to cleaning your electric shaver, it comes with a cleaning brush of its own so you can delve into the nooks and crannies of the electric shaver with ease. My biggest concern with this shaver is that it seems a bit overpriced for its specs. This makes it difficult for people to fully appreciate what it can do, because they may not be able to afford it. The people who buy it, on the other hand, may be expecting another level of performance, I would recommend buying this only if it’s on sale. For me, the Philips Norelco 9700’s strongest selling point is its personal comfort settings. You can customize your shaving experience by choosing a shaving speed that best suits you on a scale from Sensitive, Normal, to Fast. I also noticed that it was light and it gave a good grip. This can be a plus for men who view shaving as a chore because their shavers have always been heavy and unwieldy. It can also be an advantage for men who are constantly travelling, especially because these electric shavers come with their own travel pouch. I also appreciated how the Philips Norelco 9700 comes with a digital display with a built-in motion sensor. It displayed battery percentage, cleaning indicators, low battery indicators, replacement indicators, and a travel lock indicator. So far it’s one of the most straightforward displays I’ve come across in an electric shaver. It’s super comfortable against your skin and guarantees a great shave, everytime. It has a modern, digital user interface with many features. The shaver comes with a cleaning brush, making cleaning super easy. With a travel case, this shaver is perfect for the modern traveller. With an adjustable shaving speed, you can shave fast or slow – depending on the time available. SmartClean system for sanitizing along with cleaning cartridges. V-Track Precision Blades PRO for varied hair lengths. Contour detection to move in the direction of your face. The cleaning solution can tip out if you don’t have the cleaning unit on a stable surface. There are other alternatives that can offer the same performance for less money. Where else can you find a superpowered motor that’s capable of cutting through the thickest, densest hair with ease? The Panasonic Arc5 ES-LV65-S can smoothly power its five blades and bring it up to 14,000 cuts per minute. This raw power is funnelled into blades with different types of foil patterns to make sure that all the various hair types can be captured and cut off for clean and efficient shaving. However, I found it a bit difficult to maneuver this electric shaver around the contours of my face. This was not an issue of flexibility, but more of how it had such a big shaver head it was difficult to keep track. In this respect, the promise of a fast shave but at the cost of a slightly unwieldy shaver head cancel each other out. Whether or not this will be a dealbreaker is entirely up to you and your personal preferences. While I enjoy how it’s super decked out in all the latest technology, I’ve noticed that it has one of the lowest battery lives on the list. It’s only capable of 40 minutes’ worth of shaving after being fully charged. However, keeping track of its battery life won’t be a problem because it is equipped with an LED screen that shows the exact percentage of battery strength and the amount of time it’s been used in minutes and seconds. Unlike the other shavers that were previously mentioned, the Panasonic Arc5 does not come with a docking station of its own. This means that you will have to find a way to store it somewhere and you will have to set aside time every once in a while to give it a deep clean. 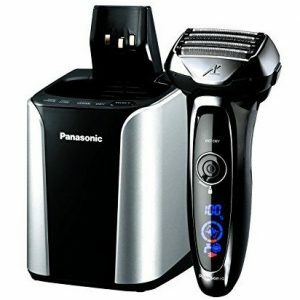 The Panasonic Arc5 ES-LV65-S is a smart shaver. It can read the density of your beard and adjust the power flow accordingly, so you don’t have to switch back and forth between settings as you make your way across your face. You can rest easy knowing that this electric shaver knows how to power its way through the thickest areas of your beard, and tone down around the rest. I’d recommend the Panasonic Arc5 for shaving in the neck area because in my experience it delivers on a close shave in that area with ease and safety. Overall, it’s a solid mid-range contender for all your close shaving needs despite some slight drawbacks on weight, ease of use, and battery life. The shaver is nice and quiet. It has a great trimmer. The shaver head has a wide coverage area. It comes with a clear LED screen. Panasonic replacements heads are easy to find. AutoSensing motor works on all beard types. It does not have a docking station, so it doesn’t have an automatic cleaning function. It’s a little on the heavy side. This electric shaver is known to be Braun’s smartest. First, let’s take a look at its shaving elements. It isn’t as decked out as the Series 9, but it still comes close with three blades and a SkinGuard to help lift and cut hair in one stroke with minimal skin irritation. This is powered by an adaptive motor that is capable of giving up to 10,000 micro vibrations for sensing and capturing dense beard hair. If you’re looking for extra power or a little more gentleness, you don’t need to look any further. The Braun Series 7 has five adjustable intensity levels to help you customize your shave with a mere push of a button. It can also be used in the shower and is completely waterproof up to 5 metres. This means you can easily and safely clean it under running water. What I liked the most about the Braun Series 7 is how reliable and consistent its performance was. Some electric shavers may begin to slow down or increase pulling and tugging once they’re low on battery. With the Braun Series 7, you can rest assured that it performs just as well on its last breath as it does on a full charge. Just place it on the Clean and Charge docking station, and the electric shaver will start charging. If you set it to clean, it will also automatically clean out the shaver for you. Electric shavers from the Braun brand are manufactured to stay in top shape for as long as possible and the Series 7 is not an exception. You can expect this electric shaver to be a worthwhile long term investment because it’s been engineered all the way from Germany to last for at seven years—provided, of course, that you know how to care and maintain it. I just had a difficult time finding a good place to put the docking station, because it’s bulky and takes up a lot of space. 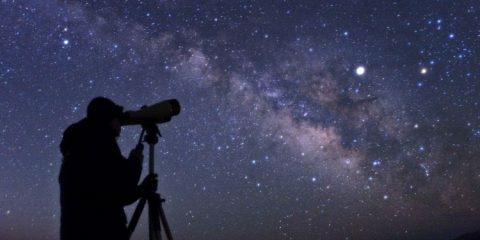 The LED interface that it comes with is also difficult to understand, and you may need to keep the instruction manual close by for the first few weeks to familiarize yourself with what the station is trying to say. Overall, the docking station and the price are the only drawbacks I found with this electric shaver. If you don’t need a portable electric shaver and you have plenty of space in your area for it, then this is the razor for you. It comes with adjustable shaving modes. It gives consistent performance regardless of battery life. With a waterproof body, the shaver can be used in the shower. The shaver is super easy to clean. It comes with a skin-friendly precision trimmer. The cleaning station is bulky and difficult to position. The LED interface on the docking station is difficult to understand. It can be a little pricey in comparison to other shavers on our list. The release of the Philips Norelco 8900 caused a lot of excitement in the electric shaver market. Philips has always been a very popular brand, and I can confirm that it’s produced many of the best electric shavers on the market. The brand claims to be able to cut through as much as 30% more hair than its regular competitors. 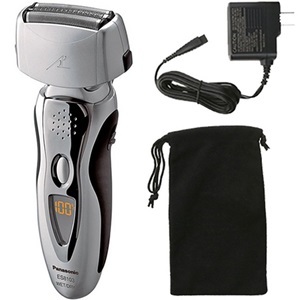 The Norelco 8900 is the electric shaver to go for if you’re looking for a close shave. It’s got special V-shaped blades that help do the job properly and has smart features that allow the electric shaver to automatically detect the best close cut based on your facial features. This shaver is fully waterproof, cordless, and can last for as long as 50 minutes when it’s fully charged. It also comes with a cleaning and charging docking stand of its own. While I appreciate the dual functions of the stand, I felt like setting it up at the start was a hassle and it was difficult to follow the instructions for it. However, once you’re done with this initial struggle, the docking stand goes a great way in keeping your electric shaver in top shape. Aside from the Clean and Charge function, it can also fast-charge your electric shaver to a full battery in one hour. The Philips Norelco 8900 can be used for both wet and dry shaving, and it’s definitely a worthy contender for people who want to find shavers that can go gentle on sensitive skin. I find that a little bit of shaving cream can go a long way in ensuring that the Norelco gives you a good shave. I love how this product is lightweight and easy to maneuver. One of the things that make shaving such a chore is how you have to carry such a heavy device back and forth across your face for several minutes. This will eventually wear you out and may affect your dexterity in shaving. With the Philips Norelco 8900, you won’t have a problem in this aspect. To top this all off, this electric shaver comes with a complete 2-year warranty. Overall the Philips Norelco 8900 is an electric shaver I would recommend for men who prefer shaving in the shower as well as men just starting out with electric shaving. This brand has excellent customer service and it’s reassuring to know that you’ll be supported if any issues arise with your electric shaver. It gives a super close shave. The shaver has good battery life; which means less charging! In case you accidentally run out, it has fast charging options. It’s lightweight, waterproof & durable. Its shaver heads are flexible. This is a fast-charging shaver that can last for weeks on a charge. SmartClean System does all the work for you. Comes with great accessories like the trimmer and convenient travel case. The charging station is not user-friendly. It takes longer to shave with this compared to other brands. The Panasonic ES8243A Arc4 comes with an orange LCD display that shows the shave timer, five-level battery indicator, cleaning reminder, sonic vibration cleaning, replacement reminder, and charge indicator in one glance. The display is a bit too small for my taste, but nevertheless, it does a good job of keeping me updated on the status of the electric shaver. Part of its superior shaving performance can be attributed to its motor, which can power up to provide speeds of nearly 13,000 cycles per minute. This razor operates nearly 1.5 times faster than the current industry standard of 10,000 cycles per minute for standard electric razors. It is capable of delivering twice the cutting force. Even the shaver head is curved so as to allow the shaving machine to glide evenly along the chin and jaw. One of the biggest surprises I got from this model is that I could move the shaver head in circular motions, which is something that I always thought would be exclusively for rotary shavers only. This would be the ideal foil shaver for men who want to make the transition to a different type but are unable to fully make the leap just yet. I like how the pop-up trimmer is located right at the back of the cordless shaver head, so I can just use it straight after shaving without having to maneuver my electric shaver too much. Once done, I just pushed it back in place. This is the electric shaver I would recommend to people with sensitive skin. The Panasonic ES8243A Arc4 is one of the more affordable shavers that can give you a solid shave without irritating your skin. It is equipped with four blades that have been angled and shaped a special way to capture, lift, and hold even the slightest of whiskers so it can cut hair evenly at the very base. I’ve noticed that shaving with this electric razor takes less time than usual, and it is also powerful enough to be used on other parts of your body such as your head and torso. This model shaves a lot quicker than other shavers – great for the man on-the-go. It’s great for sensitive skin; with a gentle but effective shave. With a waterproof body, it’s easy to clean by rinsing off. Its replacement blades are cheap. It can be used on the head, torso, and other areas of the body. You can use this shaver in the shower for quick grooming. It doesn’t give a very close shave. It’s quite loud & can be annoying when shaving close to your ears. Of all the electric shavers on the list, I find the Braun Series 3 Proskin to be the best option for shaving in the shower. This is because it’s got the most solid rubberized grip and is super lightweight. Beyond that, it can also be used for dry shaving in case you’re looking to save up on time and money without sacrificing quality. It’s a quiet electric razor that can give a close shave in straight and simple strokes, so you don’t have to worry too much about how you can start tackling that massive beard. I noticed that the Braun Series 3 Proskin’s cutting elements were pressure sensitive. They automatically retracted when I pressed down on them, which is super helpful for protecting against injuries and skin irritation. If you look closely at the shaving head, you’ll notice a small white strip between the blades. This is a microcomb and is designed to catch as much hair as possible from the first stroke. In my experience, it really worked in catching the smaller, more wayward hairs so I could get a faster and more efficient shave. 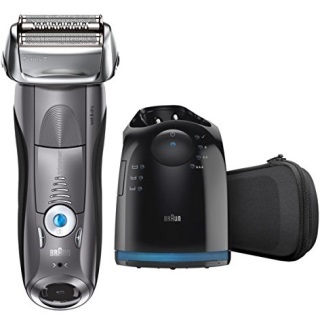 The Braun Series 3 Proskin comes with a thin precision head, which makes it the ideal electric shaver for shaving in difficult areas such as under the nose and around the jawline. It also comes with a simple LED indicator that helps you keep track of its battery power. One downside that I noticed from this electric shaver was that while the thin precision head made it easy to shave certain areas, it was still difficult to angle and maneuver it around the others. Making sure that it consistently shaves the same level of hair from one contour of your face to the other may take a bit more effort and stretching on your part. With all this considered, the Braun Series 3 Proskin is one of the most affordable electric shavers in the list and is a good option to consider for a wide variety of needs and preferences. It may not have the sophisticated Clean and Charge docking stations that its other sibling models have, but its simplicity and consistency in providing a good shaving experience make it a solid entry on this list. My favorite part of this waterproof shaver is the fact that it behaves almost like a rotary shaver. The thin razor heads will rotate to follow the curve of the face and get very close under the nose. It’ll work on fine hairs that might not be picked up by some other shavers, too. There are plenty of great features like the wet/dry nature of the shaver as well as the powerful battery. That’s important if you want to take this on vacation or on your next work trip. You don’t have to worry about the voltage at your destination. Charge it before leaving home, and toss it into your grooming kit. The MicroComb Technology has a few pluses in terms of shaving. It’ll pick up flat-lying hairs that can resist your shaving efforts. It can feed hairs of varying heights into the foil for cutting. This will result in less frustration and less passes across the skin. Your face won’t become irritated and neither will you. The ProSkin is waterproof and can be used in the shower. This model is designed to be perfect for sensitive skin. It has a micro comb on the shaver head that helps catch hairs for shaving. The shaver is both easy to clean AND has a super long battery life. It’s incredibly affordable considering the features it offers. MicroComb Technology for cutting all lengths of hair. Smooth foils to help avoid razor burn. It doesn’t have a charging stand. It’s difficult to shave around contours. If you have a thick beard that takes ages for the regular electric shaver to mow through, then the Philips Norelco 4500 is the new shaver for you. It offers a smooth and close shave for even the densest of facial hairs. I liked the simplicity of the Philips Norelco 4500. While most modern electric shavers try to add as many bells and whistles as they can to the gadget, this one is purely focused on providing a good shave. It’s a solid purchase for men who don’t have many personal grooming requirements and simply want a long-term shaving companion. 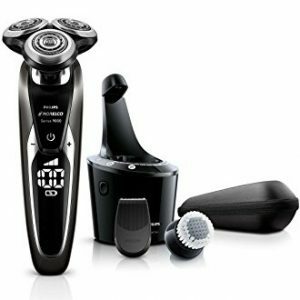 One considerable drawback I found with the Philips Norelco 4500 is that it takes up to eight hours to fully charge for 50 minutes of shaving time. This is far behind its peers in the market, who can promise just as much shaving time in a little over an hour of charging. I recommend you charge it overnight or right after you’re done using it—but in cases where it’s slipped your mind, there’s an option to have a 3-minute quick charge so you can have one cordless shave. While the Philips Norelco 4500 does not come with a travel bag of its own, it is fairly lightweight and I have been able to bring it along with me on a few trips. The cleaning brush has also been super helpful in keeping the electric shaver in top shape in between every few uses. All I needed to clean out this shaver was to pop open the top, run the head portion under the faucet with hot water, and leave it to dry. This part is super easy to do. Every once in a while, you’ll have to go for a more thorough clean by removing the top shaving unit and using a cleaning brush to reach all three shaving heads. For this part, however, it may be difficult to disassemble the unit at first so it’s advised that you set aside enough time to get to know how to do it. The Philips Norelco 4500 is a solid contender for the market. It’s a good option for professionals that want to have a portable electric shaver on a bit of a budget. The device is small, light and portable; perfect for travel! With a clean, close shave, you can confident to impress anyone you meet. With a waterproof body, it can be used in the shower. The shaver is quiet & efficient – no more annoying your family! The body is super easy to take apart and clean. Pivot, Flex, and Float System allows the shaver heads to move with the contours of the face. Its replacement heads are expensive. The pop-up trimmer is fragile and can be broken if you’re not careful. It takes a long time to charge; which can be annoying for busy people. Are you looking for all the benefits of the Panasonic Arc’s electric shaver series minus the added weight of the blades? The Panasonic Arc3 ES8103S is the brand’s answer to your prayers. 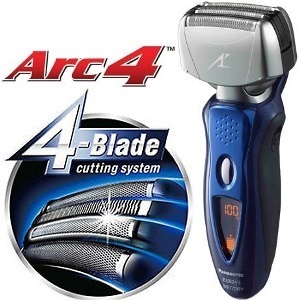 It has all the added benefits of the line’s super fast shave minus some of the bulk that come with the Arc4 and Arc5. The Panasonic ES8103S Arc3 is one of the more affordable electric shavers on this list and comes with three shaver blades specially angled to enhance precision and minimise skin irritation. It’s powered by a rapid-fire motor that can pump out 13,000 cuts per minute, ensuring that you can get a fast and good shave with less effort. Usually, electric shavers are outfitted with flexible heads to help with contouring around the face and neck. On the Panasonic Arc3, however, the blades themselves are independently floated to make quick work of all the unwanted hairs on your skin in addition to the pivoting head which had the ability to move from side to side as well as up to down. I liked how the shaver blades were specifically manufactured to be hypoallergenic because I felt the extra thought that went into it when I used the ES8103S Arc3. I did not experience any skin irritation nor pulling and tugging while using this electric shaver. I would have appreciated it if this electric shaver came with a charging station of its own. It would have been super helpful, especially since I’ve noticed that this model eats away at the battery life. Also, I observed that the Panasonic ES8103S Arc3 can be a bit on the noisy side. Regardless, with an average battery life of 45 minutes, a series of smart features, and an accessible price tag to boot, the Panasonic Arc3 is definitely an option to consider. I would say that it’s the ideal electric shaver for young men just starting out with electric shaving, as long as they don’t mind a bit of extra weight. It’s light and easy to maneuver across your face. It offers a clean, close shave to help you look your best. It gives you a lot of bang for your buck. The device charges quickly, making it perfect for busy men. Stainless steel blades last longer. It does not come with a charging station. The battery doesn’t last all that long. There are two types of electric shavers, rotary and foil. 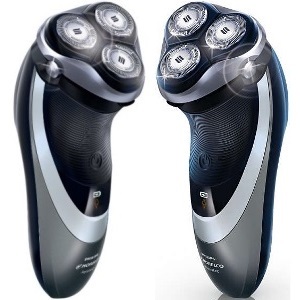 Rotary electric shavers have three round heads with high-speed razor discs inside them. Rotary heads are capable of flexing inwards and pivoting in more directions than the foil shaver. This is especially helpful for the nose, jawline, and chin. A foil electric shaver, on the other hand, is usually rectangular in shape and has blades inside that weave back and forth at incredible speed. Foil shavers can only go either left to right or up and down, as they do not rotate the way that rotary electric shavers do. Shaving with a safety razor was first made popular by Kampfe Brothers and King C Gillette in the early 1900s, but the first electric shaver was created by Remington in 1937. It was a foil shaver with a micro-screen foil over the blades. Only two years later, in 1939, the Philips Company introduced rotary blades to the market. Early versions of the electric shaver were only meant to be used in dry skin, which was a problem for men with a more sensitive complexion. Around the 1960s, battery-powered electric shavers were developed and the race to cordless electric shavers commenced. Most modern electric shavers are powered by a Lithium-ion battery, but the first battery-powered shavers used nickel-cadmium to get the job done. One of the factors behind the growth of the electric shaver market in recent times was an increased awareness in the environmental impact of traditional shavers. An independent study showed that nearly 80 million American men using plastic disposable razors generated approximately 35 million cubic feet of toxic waste every year, which made men more conscious about the shavers they used and their contribution to preserving the environment. Today, the US market is dominated by three major players: Braun, Philips Norelco, and Panasonic. They contribute to more than 60% of the market. Philips Norelco is the market leader for rotary shavers while Braun is its counterpart for the foil segment, followed closely by Panasonic. Remington is still considered a pioneer on the market but has lost a considerable amount of its power to these three manufacturers in recent times. There are two types of electric shavers, and they both have their own strengths and weaknesses. Depending on how sensitive your skin is, the contours of your face, and hair density—one type may be better for you than the other. Outside of the electric variety, there are more types of shavers out there. There are disposable razors, cartridge razors, straight razors, and safety razors. If you prefer a model of electric shaver similar to these, then foil shavers are the way to go. You don’t need to worry about not being able to afford an electric shaver because there are so many to choose from across the price range. If you’re not sure about investing in an electric shaver completely, I’d advise you to still save up for a mid-range electric shaver so you can get a fair experience of what it’s like to own and maintain one. I wouldn’t suggest the low-end electric shavers as they usually have limited features, but they can be made as replacements for whenever your main electric shaver is broken and you need a quick fix. There’s a lot of work that goes behind manufacturing electric shavers. This is one of the strongest selling points it’s got against the other shavers. They aren’t a necessity, but they can go a long way towards making shaving a more pleasant experience for you. Some modern electric shavers come equipped with LED displays that help you keep track of the battery life and others that help you adjust the intensity of the blades. They can even be built into wet shavers for use in the shower. Portability & Size: Can You Travel With It? Are you a professional or someone who travels frequently? Then a lightweight cordless electric shaver that comes with a portable bag of its own is for you. It can be invaluable in keeping your appearance clean and tidy. Most electric shavers will still need to be plugged to a wall. However, some innovative companies have developed electric shavers that can be charged through a USB port. This is an additional attractive feature for busy travellers. Ideally, you want an electric shaver that consistently gives out top performance with its original parts. However, this is never the case. Thankfully modern electric shavers offer the option of letting you quickly rinse off the blades on a day to day basis after you are done shaving. Beyond this, you still need to give your electric shaver a deep clean. As a general rule, I suggest setting aside a few minutes once a week to dismantle the parts and go over each of them individually with a soft cloth, to make sure that you don’t let any gunk get stuck in its inner crevices and affect performance. Accessories & Extras: What Is Included? Most electric shavers come equipped with a trimmer. This helps you sculpt out the finer details of your look once you’re done with shaving. However, some shavers go beyond this and offer more—they may come with combs, clippers, and other tools to help with grooming. If you’re a no-nonsense guy and you only need a shaver to keep your beard in check, then this won’t be a big deal for you. As such, you should go for electric shavers that bank on other factors that are more important for you. Most electric shavers come with the option to go cordless if they aren’t exclusively cordless already. This makes battery consumption a super important factor for buying. When you’re looking for an electric shaver, it’s important to find out how long it can go without being charged. I’ve noticed that electric shavers last anywhere as long as 30 to 60 minutes, depending on the brand and model. Some electric shavers come with the option to charge for one shave. This is in case you accidentally forgot to plug it in and it’s completely out of juice. 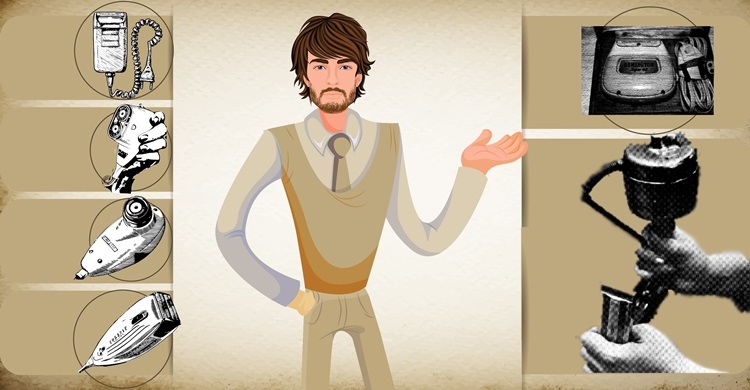 It can be a good option for men who are forgetful or always in a hurry. Wet/dry shavers can be used with shaving cream or taken into the shower. It’ll depend on their rating and what the manufacturer recommends. When you can take your shaver into the shower, you’re cutting precious minutes from your morning routine. You’ll be able to get out of the house much faster. With the option of wet or dry, you get to decide each day what kind of shave you want. You might need a quick shave in the car on the way to work. Some mornings you want to take your time and shave during a hot shower. The hot water and shaving cream will guarantee smooth skin and a closer shave when you’re done. The wet/dry shaver gives you plenty of options for the type of morning shave you want. When you’re trying something new, it’s always a good idea to come prepared. A warranty can help ease your worries and safeguard you against any potential harms that may come your way. I believe spending a few more bucks for one will definitely be a worthy investment for anyone who needs an electric shaver. Regardless of whether you’re new at this or a veteran, a man or a woman, a warranty can help you keep your shaver in check and can cushion you from any unexpected events. Generally, you always need to allow a few weeks for your skin to get used to a certain electric shaver. This is why it’s so important to find an electric shaver that you can make a long-term investment in the first time around because the adjustment period may take a while. 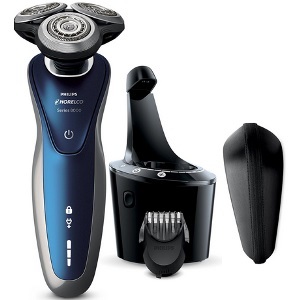 However, if you find that your skin just cannot cope with your electric shaver, then consider the Philips Norelco 7500. It has a gentle Precision Blade system that minimizes risk of snags and pulls, and also has anti-friction coating on the blades. Many black men struggle with finding the right products on the market because of curly, wiry hair and more sensitive skin. If you can relate to the struggle, you’re going to want to find an electric shaver that knows how to mow through thick, dense hair without causing any undue skin irritation. For this, I highly recommend the Braun Series 9 9290 cc. It has twice the cutting power of standard electric razors and comes with four specially designed cutting elements to help mow through thick beards in one big swipe. Perhaps you’re on the lookout for an electric shaver that can work just as well on your head as it does on your face. For this purpose, the Pitbull Gold Shaver goes above and beyond. It’s a small, simple, and minimalist shaver that focuses on delivering on good shaves so it doesn’t have any other accessories that could make it difficult to handle and it is also easy to clean when you’re done with it. 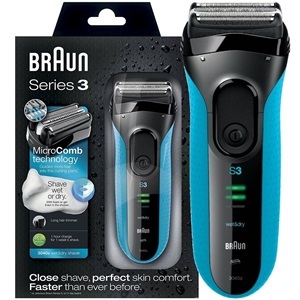 The most affordable contenders in the electric shaver’s market is tied between the Braun Series 3 Proskin 3040s. It offers excellent shaves and comes with some crucial features that modern electric shavers are outfitted with so you can experience the ease in using these kinds of shavers at a super competitive price. The Philips Norelco PQ208/40 is the best bet for travelling because it’s small, lightweight, and durable enough to handle much of the stress associated with travelling around. It also holds a charge fairly well and is built with automatic worldwide voltage. You’ll need an electric shaver with an extendable arm that flexes so you can reach difficult areas on your back. The Mangroomer Ultimate Pro offers different shaving intensities for different hair densities and also has a 1.8-inch ultra wide back hair groomer blade to make sure you never have to ask someone else for help shaving your back again. Shaving coarse hair can be a difficult job because it’s likelier to cause razor bumps and ingrown hairs. The Braun Series 9 9290 cc will be a huge help in this aspect because it’s equipped with special blades and trimmers that lift up the hair from the root and slice it off cleanly. It can also sense and adjust the power of the shave according to the density of your beard. It can be super hard to get the neck area right because of how stretchy the skin is, and how difficult it is to find a good position to see what you’re doing in front of the mirror. The Philips Norelco Bodygroomer BG2040 has a nice built-in popup trimmer that I found useful for the neck area and knows how to deliver a safe shave around it. If you need to shave daily, you’re in need of a shaver that knows how to care for your skin. The Braun Series 7 790 cc is the right shaver for this job because it knows how to shave your hairs without being too rough on your skin. It also comes with a handy docking station so when you’re done, you can set it right back there for use the next day. I would recommend the Philips Norelco Shaver 4100 for beginners as it has a simple user interface and can handle both a wet and a dry shave. It’s a good starting point for young men on a budget who want to practice using an electric shaver before moving on to more sophisticated models. The Braun 760cc is similar to the 790cc in many aspects and is a good razor in its own right, except it does not come with a fast cleaning system and an automatic selection feature. It is also less portable than the 799 cc because it does not come with a premium leather pouch of its own. Despite this marked lack in tech features and accessories, the 760cc still costs around $50 dollars more. Its biggest advantage is that it comes in black—so if you’re looking for a razor with a sleek dark aesthetic, then you should consider this unit. Otherwise, I recommend you continue to search for other razors in the market that can better suit your needs. So you’ve done your research, gone to the store, and picked up an electric shaver all for yourself. What’s next? Regardless of how you prefer to shave, make sure you’ve cleaned the area thoroughly before you begin. This will help reap better results and prevent irritation. 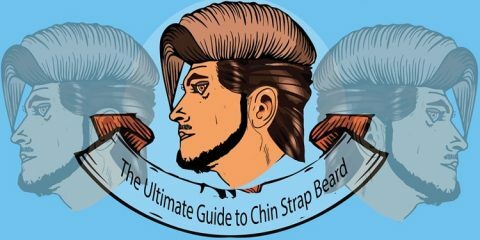 You should consistently hold your shaver to your face at a right angle. With your free hand, pull your skin taut while you’re shaving so the hair strands stand upright. This lets your electric shaver cover more area and do a better job of shaving. In turn, it reduces the time you take to shave and minimises snagging. The type of electric shaver you are using may influence the way you angle your shaver. This is because they move in different ways. Foil shavers move from left to right or up and down, while rotary shavers are used in circular motions. Electric shavers keep the blades rolling with an internal motor. This generates varying degrees of operational heat. It’s bad news for sensitive skin, as it can be a cause of irritation. Because of this, I recommend that you always start out shaving the most sensitive areas, such as your neck. The electric shaver is still cool so it won’t hurt much. Make sure not to press too hard and to avoid going over the same spot twice. A well-oiled shaver can keep going well beyond its expected lifespan. Many now come with their own easy-clean systems. If yours has one, you should definitely use it. This will help give a better shave and prolong product life as well. A cleaning brush may help in removing whisker dust from the cutter and foil. Make sure to do this with a gentle hand because these parts are fragile. Never tap your electric shaver on the edge of the sink to remove residue because the impact can damage its internal components. Braun: Braun is one of the most preferred brands in the world for electric shavers, especially for foil types. These German-engineered machines are thought to be the most comfortable shavers in the world. Electric shavers under Braun are known for their unique Clean and Charge feature. This is a cleaning system that uses an alcohol-based formula to clean, lubricate, and dry the razor as it charges. Panasonic: This leading Japanese tech company is favoured for super close shaves and excellent build quality. If you’re the kind of guy who prefers to keep a clean-shaven face than maintain a beard, then this may be the brand for you. All Panasonic shavers are fully waterproof. This is a plus for people with sensitive skin, as it can be used with shaving cream or while in the shower. Philips Norelco: The rotary line of shavers from Philips is reputed to be the best there is to date. This line of technology originating from the Netherlands come armed with a wide variety of accessories to help with grooming. Philips Norelco has a cleaning system similar to that of Braun’s, except that they do not use alcohol for the process. This is meant to cater to people with sensitive skin. Remington: The history of electric shavers begins with the Remington name. In 1937, this brand was the first to successfully manufacture an electric shaver. Nearly one hundred years later, it continues to have a strong presence in the shaving market. Remington is a well-balanced brand. It offers a stable line of rotary and foil shavers and is the ideal brand of choice for beginners. Wahl Professional: Looking for an electric shaver that can mow through a full head of hair with ease? The Wahl Professional is the world’s top brand for this job. Nothing beats their hair clippers if you want to take your home grooming to another level. Chances are, you’ll see a Wahl Pro clipper in your neighbourhood barber’s toolkit. It’s an industry favorite—and today there are plenty of opportunities for you to bring it home. Surker: It’s hard to find popular brands off the internet these days—but Surker is the exception. You’ll be hard-pressed to find anything from the company over the internet, but many people have given glowing reviews of their electric shavers. Surker is an upcoming brand you should definitely watch out for. It’s best used for a wet shave and is completely waterproof. Hatteker: Hatteker is one of the younger players on the market that’s been turning heads, especially for their rotary electric shavers and beard trimmers. If you’ve had experience with rotary shavers, then you should definitely consider the Hatteker brand. It markets itself as a versatile shaver that is capable of being the complete toolkit for all your grooming needs. While the consistency of their products remains to be seen, they are definitely off to a strong start. Hair clippings, skin particles, and oils can build up in your electric razor and seriously affect its performance. To avoid this, it’s important that you nip it in the bud by giving your shaver a quick rinse at least once every two or three shaves. This helps wash off any buildup before it goes overboard. Beyond the regular rinses, I strongly recommend you find time once a month to completely disassemble your electric shaver so you can go over all the individual parts with a brush or a clean cloth. This may seem daunting at first, but modern electric shavers are manufactured well and they come with instruction booklets to help with the task. If you have one of those electric shavers that come with a dock capable of cleaning and charging, then use it! One simple setup and your electric shaver can start with cleaning on its own. Keep monitoring your electric shaver, especially the exposed parts. If the blades look a bit too dull or the foil looks like it’s about to fall apart on your foil shaver, it’s time to get a replacement. Leaving these parts as is won’t just make shaving uncomfortable—it may also cause injuries. Prolong the battery of your electric shaver by charging it only when it is necessary. Overcharging it could cause the battery to overheat and kill its overall lifespan. Simply charge it up to capacity and then unplug the charger afterwards. Shaving can be difficult on your skin. The wrong electric shaver can give you nicks, cuts, or rashes. While some of this may be due to your technique as you adjust to using an electric shaver, it’s important that you allow a few weeks for your skin to get used to an electric shaver. Whether you have fine or coarse facial hair may affect the way electric shavers pick up on the strands to cut it off. If you have thick and unruly hair then finding an electric shaver with a good motor will be of top priority to you. If you need to shave on a day to day basis, then your ideal electric shaver should be able to keep up with your lifestyle. Battery life and durability, as well as maintenance, will be important factors for you. If your face shape has many contours and traditional shavers have always been a struggle for you, then rotary shavers will be a godsend. Their unique shape helps you reach difficult areas better. If you feel like your hair grows all over the place, then traditional shaving must have been a struggle because you had to find the right angle to shave off the hair. Some electric shavers are formulated to help lift individual hair strands and cut them off cleanly. Should I choose foil or rotary for my shaving needs? Foil shavers are the superior choice for people with sensitive skin, fine hair strands, and the need to shave every day to get that smooth, baby-faced look. Since foil shavers only move from left to right or up to down, it’s simpler to use if you don’t have heavy facial contours and unruly hair growth patterns. On the other hand, I’d recommend rotary shavers for seasoned shaving veterans, as it can be a bit tough on the skin. It’s good at mowing through thick, coarse, and unruly hair, and can make reaching the contours of your face easier. Can I use an electric shaver even if I have sensitive skin? Yes. Some electric shavers have features that help lift up hair at the roots so it can slice it off more cleanly. I recommend you find an electric shaver that you can use in the shower or with shaving lotion. This can help make shaving an easier, more painless experience. Between foil and rotary shavers, foil shavers tend to be kinder to your skin. The Braun line of shavers is known to be good for sensitive skin. 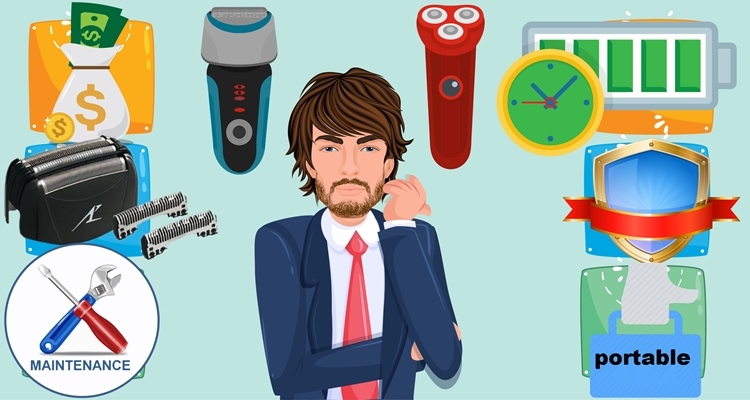 Does brand matter while choosing an electric shaver? To an extent, yes. The brand of an electric shaver can influence the kind of features that they have on the shaver, the customer service support that it is available, and the reliability of an electric shaver’s performance. Generally, it’s best to start off with an electric shaver from a top brand because it is a safe investment to make. Can I use an electric shaver in the shower? It depends on the model of the electric shaver you’re using. Before you buy one, make sure that it clearly states that it can be used in the shower, otherwise known as wet shaving. The Braun Series 3 Proskin is a good electric shaver for shower use because of its rubberized grips. Is it true that I should spend more on a good electric shaver? Not necessarily. The definition of a ‘good’ electric shaver can vary wildly from one person to another, and some men may need more than others. Regardless of what your requirements are, there is a low barrier for entry in the market. Can women use men’s electric shaver? They can but it is not advisable. Men’s electric shavers are designed to remove their rough coarse facial hairs around the contours of their face—women don’t usually have those kinds of hairs on their face, so when they look for an electric shaver it’s generally for their legs, underarms, and private area. Hair grows differently in these areas and the sensitivity of skin differs as well, which is why it’s better for women to go for electric shavers designed specifically for their use. Male users emerged dominant holding over 66.3% of the overall market in 2015. However, an increasing trend in catering to women and their needs have paved the way for more electric shavers on the market that cater to women. Can an electric shaver be used for pubic area shaving? Using an electric shaver on your pubic areas can be a challenging activity, but it is still possible. I recommend you take great care when choosing an electric shaver for this purpose. Look for one that is gentle enough to do its job without injuring you. For this purpose, it is best to use the electric shaver after thoroughly cleansing the area and disinfecting the razor. Trim to a manageable length, and then finish with a manual razor. Using an electric shaver all the way down to the skin will most likely injure you and make for a traumatic experience. How often do I need to change my razor blade? These factors do not just affect the comfort of your shave. They can also be dangerous for you because they can lead to injuries. How long does an electric shaver last? Electric shavers at the top of the range can easily go for as long as seven to ten years, with only some replacements every once in a while to maintain its performance over time. Common replacement parts are the cutter block or foil, which can go for twelve to eighteen months depending on how much you use it and the type of beard you have. Mid-range shavers are expected to last around five years. They are the ideal choice for many because they cost less than $100 and can be used for a long time. Lower ranges of electric shavers may only last between one to three years. There’s been a growing trend in sporting beards, and as such sales in the electric shaver industry have increased by as much as 45% since the year 2016. Technavio analysts expect the global electric shaver market to continue to grow at a rate of 4% per year. The market is also growing much larger. Previously, electric shavers only catered to the US—but a large customer base in developing countries within the APAC area now constitutes around 22.31% of global revenue. China and India, in particular, are significant contributors to the customer bases for male grooming products. With all this to look forward to, the future of electric shavers is looking sharp. There will definitely be a lot more developments that will push through and improve the experience of grooming for men and women around the world. For now, the options we have on the market aren’t too shabby and it’s certainly come a long way from where it began. I hope this guide has helped point you to the best electric shaver for you. There’s so much that goes into choosing a grooming companion, and I’ve done my best to analyse this purchase from as many perspectives as I could gather. So many electric shavers have been developed, and I’m confident that the best electric razor for you is already in this list.